The first step to deciding on the right product for your needs is understanding where you live. Several location factors can influence the decision making process of glass and glazing options. States with colder and longer winters require windows with glass that offers greater insulation than ordinary glass, such as Low E, double-glazing or a combination of both. In hotter parts of Australia the reduction of heat is more of a concern. Selecting glass that absorbs and reflects heat is recommended for these areas with products like Toned and Low E glass with solar control ideal. By understanding the orientation of your windows and doors, you can analyse the amount of sun they will be exposed to throughout the various seasons. This will assist you in determining whether you need to use glass that reduces or retains heat entering your home. We offer a range of performance glass that is designed to allow the passage of natural light while providing options to control the amount of solar heat that enters the home. The orientation of your windows can also encourage natural light to create and define the mood of the rooms in your home as the time of day and seasons change. Access to the site of your home is important in considering potential design challenges to overcome. If you live close to a busy road you might prefer a glass that helps reduce unwanted noise. We can offer special laminated glass with a 3-ply interlayer that is designed to dampen sound in critical frequencies that can be irritating. This combined with our timber and aluminium products that are manufactured to ensure frames and seals fit perfectly results in optimum noise reduction. 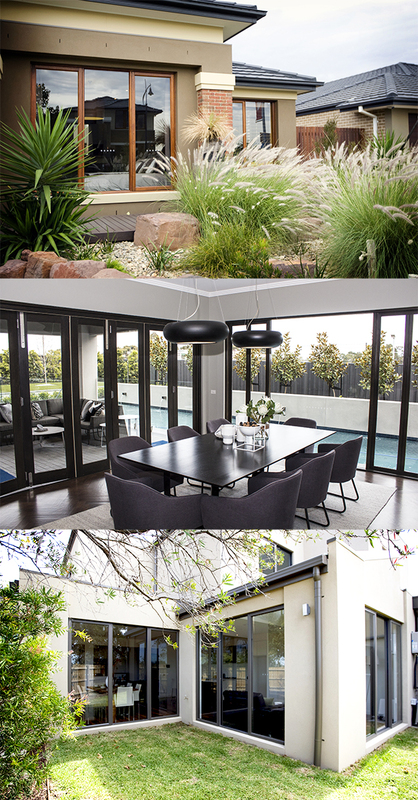 Your glass selection can also help you take advantage of natural surroundings and capitalise on beautiful views. There are many more options available and factors to consider when deciding on the best solution for your window, door and glazing needs. These three steps are a great place to start; with security and safety being two additional important elements to consider. Check out the performance and technical centre sections at www.windowsanddoors.build for more information and full options.